DJ's Book Corner: The end of the world is just beginning. DAY ONE by @SummerEllenLane #Dystopian And there's a GIVEAWAY! The end of the world is just beginning. 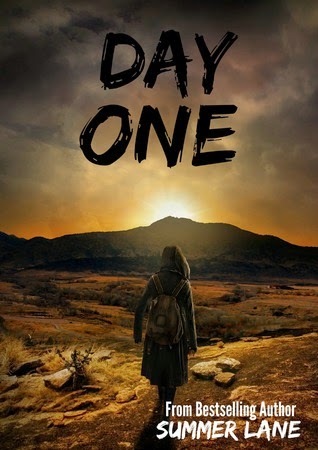 DAY ONE by @SummerEllenLane #Dystopian And there's a GIVEAWAY! The apocalypse took everything from Elle: her family, her world and now…her friends. After escaping the ravaged streets of Los Angeles, Elle finds herself stranded alone in California when her friends are kidnapped by a new and dangerous enemy. Determined to rescue them from a horrible fate, Elle begins her trek across the unforgiving desert, into the mountains, and into Slaver Territory. All is not what it seems. Death lurks around every corner. Enemies are everywhere. With the help of a new and brave companion, Elle fights against all odds, clinging to hope and life. Day Zero is behind her. Day One is before her. What is different about this book – compared to the rest of the books that I have written up to this point - is that it takes place in the desert. I have always wanted to explore the possibility of setting an apocalyptic story in the desert. It reminds me of the desolate theme of movies like The Book of Eli and Resident Evil: Extinction – minus the zombies and the genetically enhanced Alice, of course! The desert reflects the superiority of nature over our existence. It is desolate, unforgiving and difficult to survive there – with or without an apocalypse. Plus, there is abundance of interesting backdrops to use, such as old ghost towns, mountains and wildlife. Elle’s journey takes her all the way up the San Jacinto Mountains. She must cross through the Mojave and survive the harsh elements of the desert. It was such a fun story to write, and I’m eager to get started on End of Day, so that I can wrap Elle’s story up with a neat, apocalyptic bow!